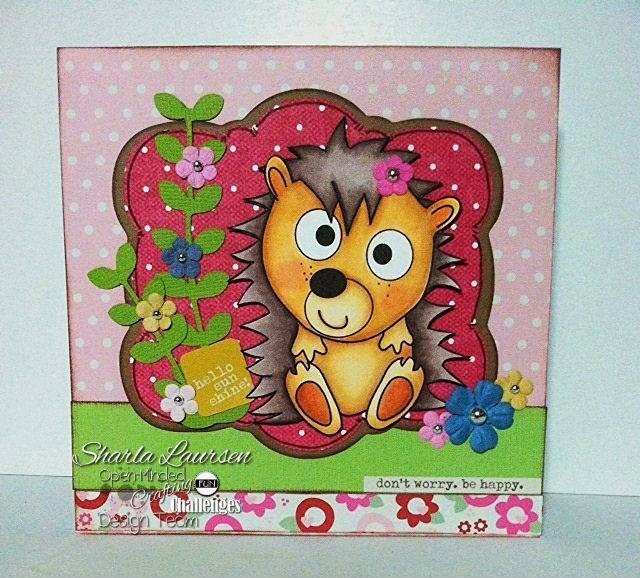 Here is my card, using Scribbles Designs Hedgehog. I just love this little critter, so cute! I made it into a girl by adding a flower to her, I colored with copics. The vine is a cut file, the hello sunshine and don't worry. be happy stickers are from Simple Stories. So please come join our challenge and show off your projects featuring animals!! The color are so bright and happy. Beautifully colored image with great accents.